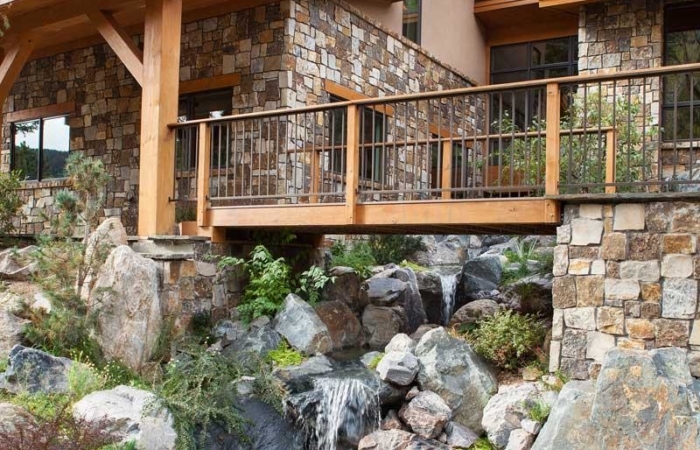 The gorge is often asked about when guests first experience the Barrett Gorge as it rushes under the glass walkway and foot bridge. 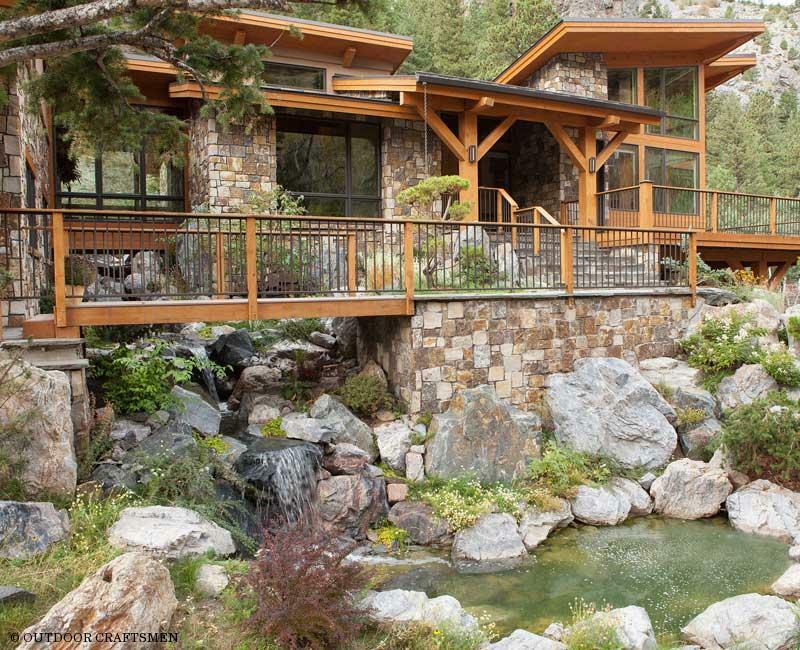 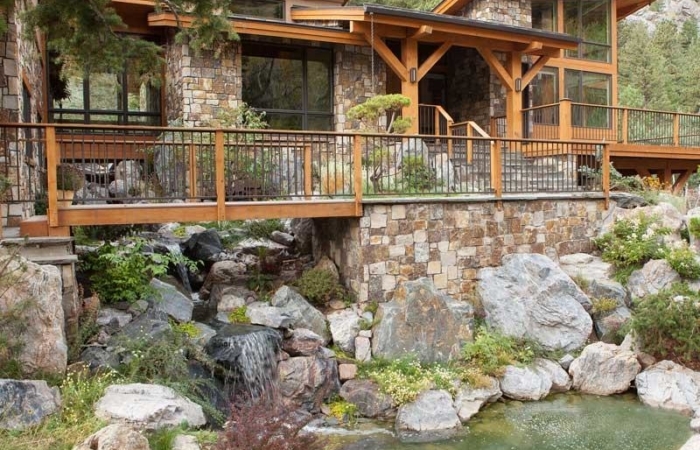 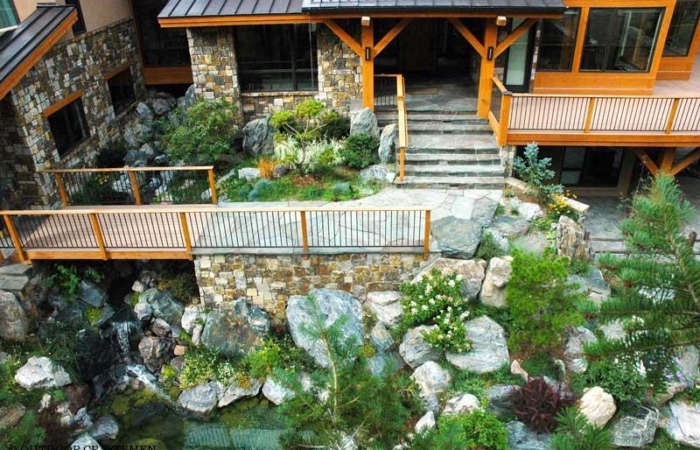 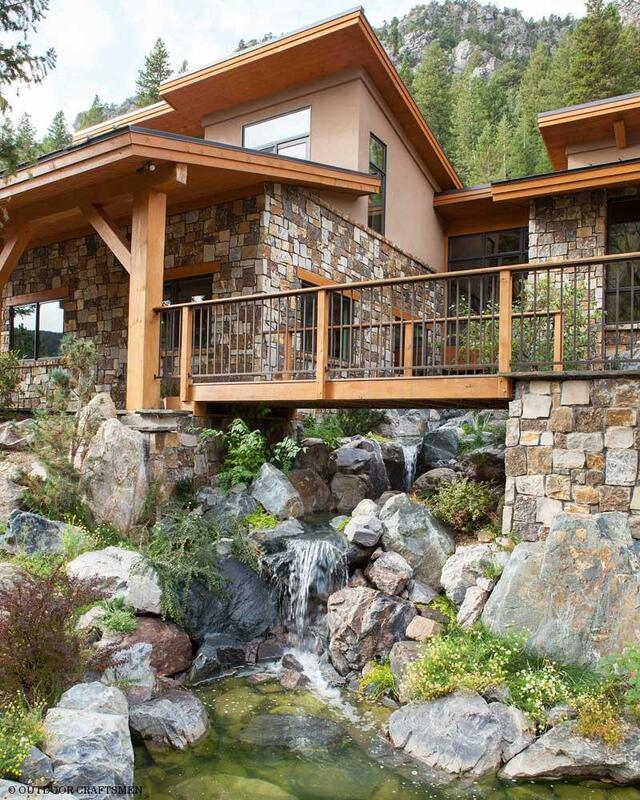 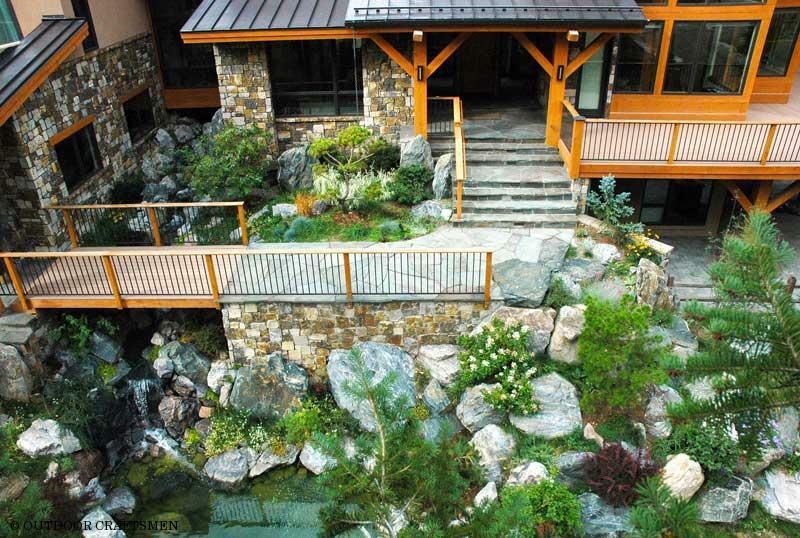 Water cascades down multiple natural waterfalls that are tuned and heard as a symphony of tones as you cross the bridge to the entrance of the home. 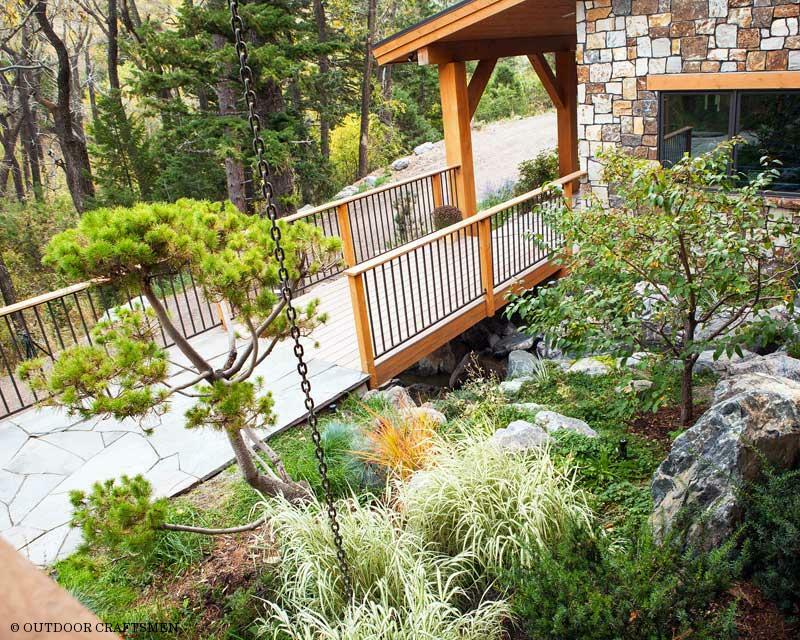 Hardy and native trees, shrubs, perennials and grasses abound with seasonal color, while the structure of sculpted pines and dwarf conifers continue to compliment the boulder work all year long. 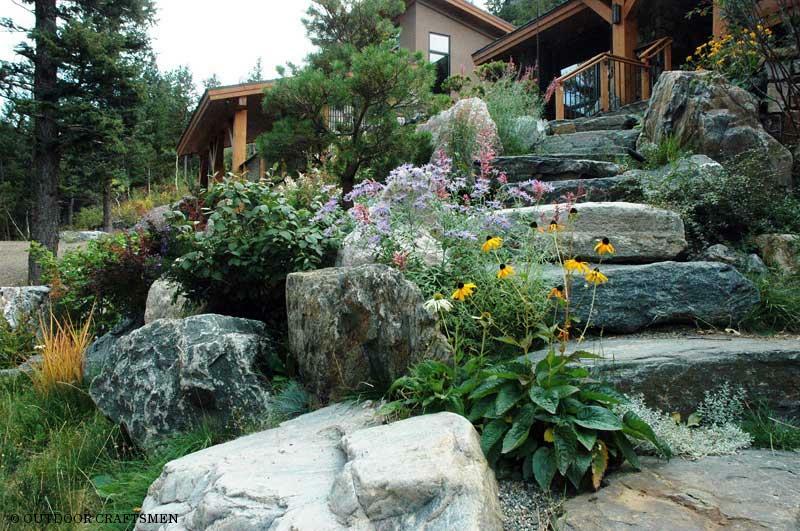 The natural aesthetic and the homeowner's sensitivity to nature provided a hand-in-glove fit for Outdoor Craftsmen's Xeric principles. 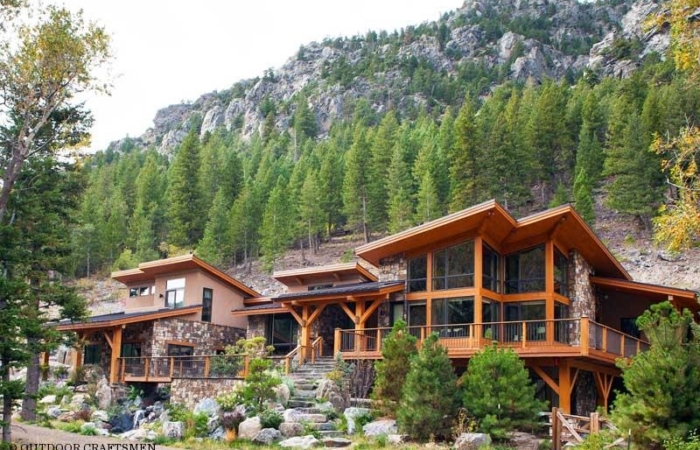 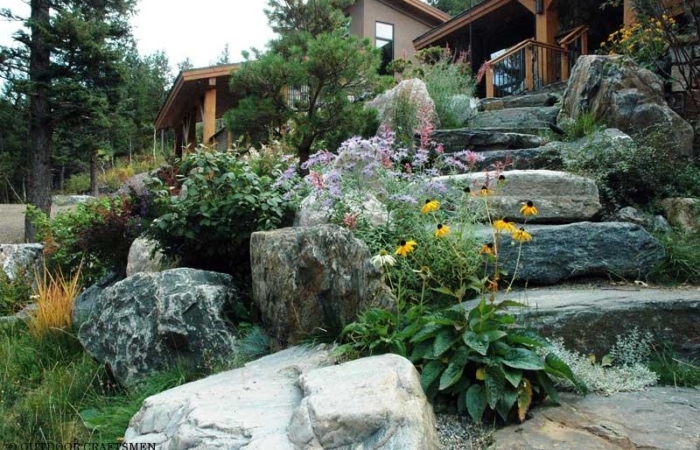 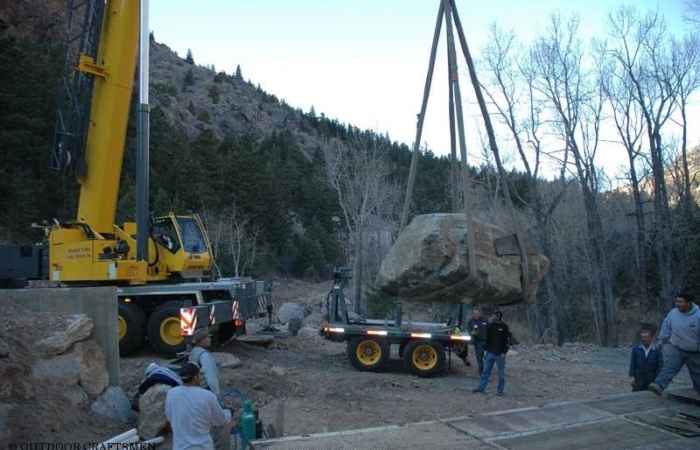 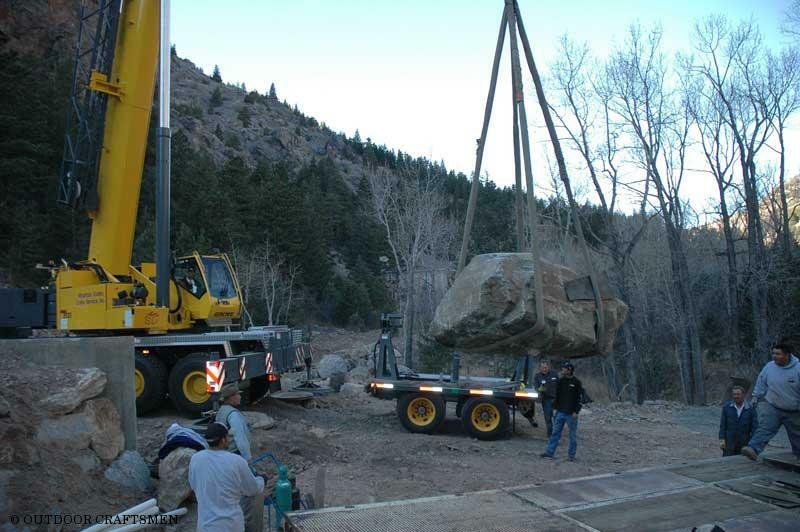 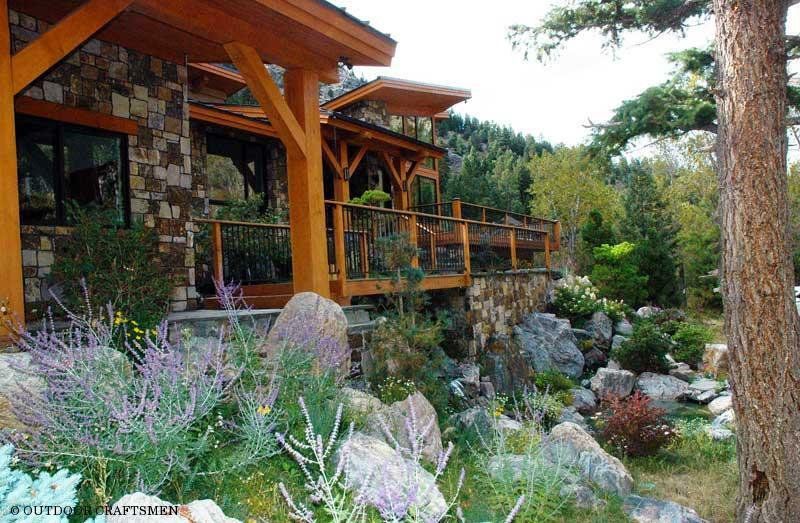 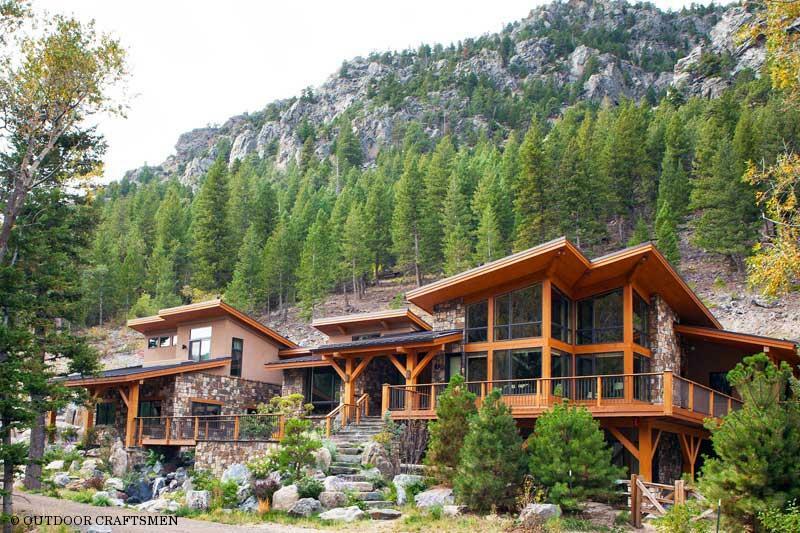 Making sure that the indigenous stone of the mountain was used maintains the seamless continuity from the existing features of the mountain to the newly constructed elements was a certainty for the home owner who is a geologist. 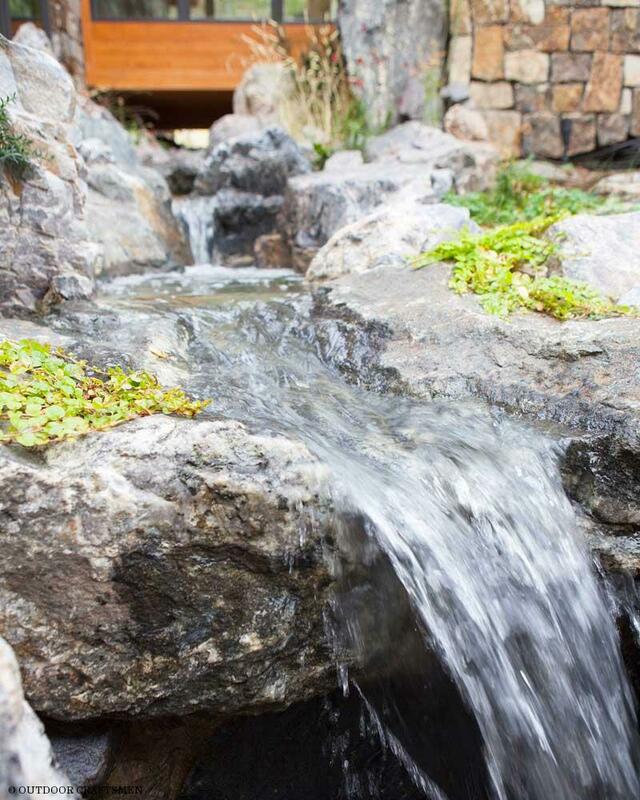 A problematic natural spring that surfaces on the back slope of the house was controlled so as not to compromise the foundation of the house. 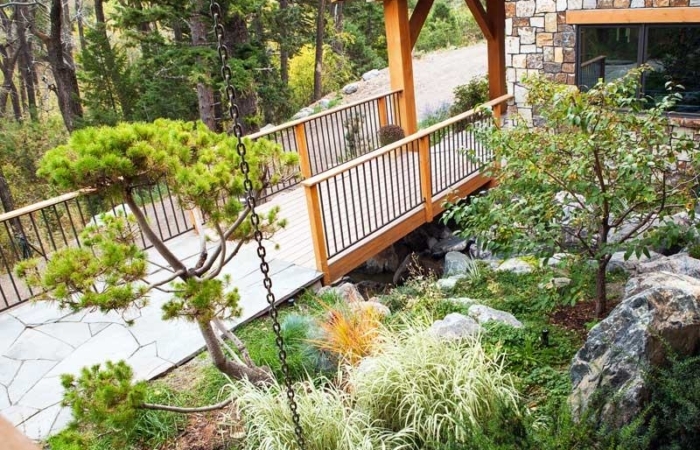 A soothing, audible and visual experience was created specifically for the home's entrance. 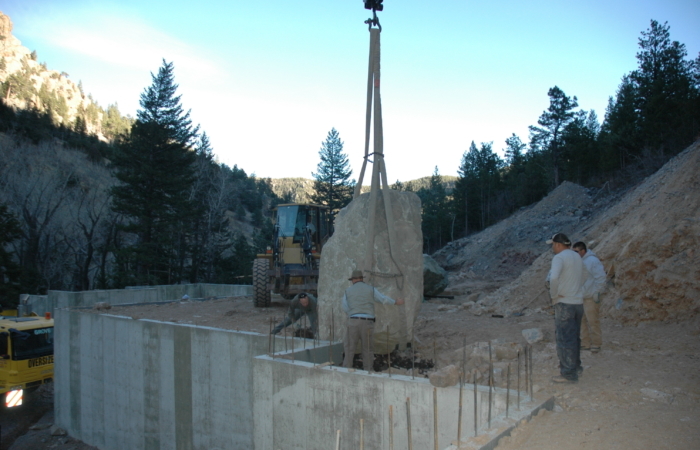 The entire project was crafted using a system that is efficient, built to last, and easy to maintain. 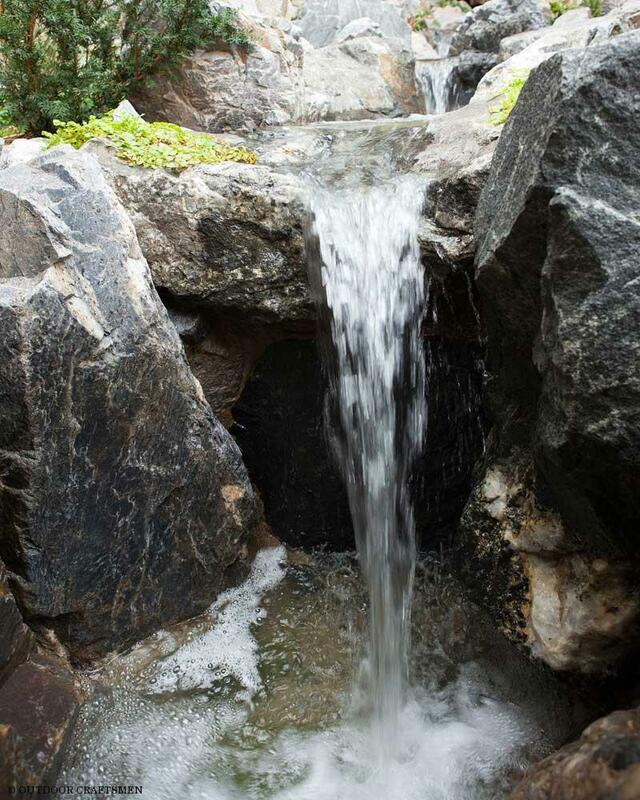 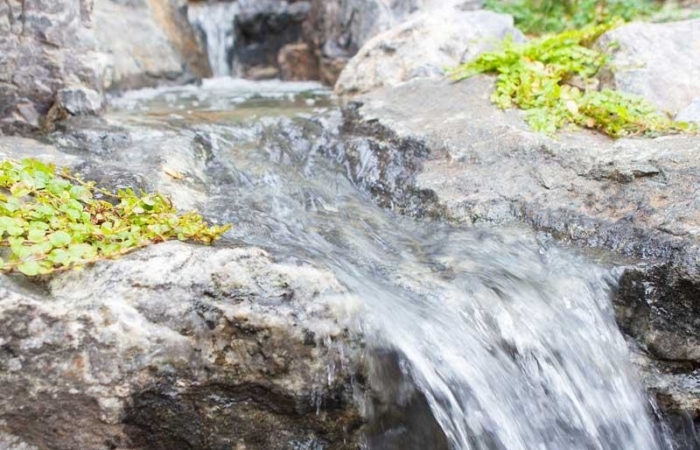 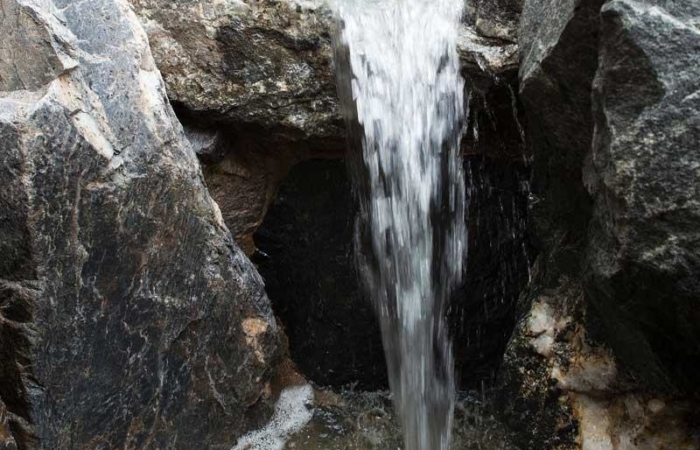 - The natural springs which were once so problematic now supply water for the water feature.